Onboard Systems International, Inc., a leading provider of innovative helicopter cargo hook equipment, announced that it has been awarded a contract by Bell Helicopters to design and develop a new adaptation of its TALON® LC Hydraulic release external cargo hook system for the Bell 429 helicopter. The new version will include an Onboard Weighing System with an NVG cockpit display. The external load weighing system will feature Onboard’s pin load cell technology, where a pin load cell replaces the main cargo hook attach bolt, rather than attaching as a separate link above the hook. 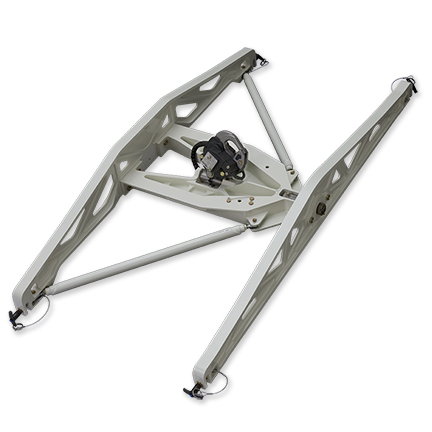 This allows for increased ground clearance, easier cable routing, and lower weight. The new cargo hook system design was requested by Bell to fulfill an order for fifteen Bell 429s with external cargo hook systems for the Canadian Coast Guard. The Coast Guard purchase specified that the cargo hook systems must include a weighing system with an NVG cockpit display. The new Onboard Systems external cargo hook system with the Onboard Weighing System will be available for Bell factory installation in 2015 exclusively through Bell Helicopter.